An emergent approach to organizational strategy making assumptions that few organizations actually realize the goal of deliberative, top-down strategic planning, and that effective strategy making occurs on a continual basis and is a shared activity of the entire organization. This innovative book provides the first in-depth look at how real organizations are formulating and implementing strategic change under this new paradigm. The authors have dug deep into three large and varied organizations (Hewlett-Packard, the California State University system, and the County of Los Angeles) and identified each one's efforts to develop a new strategic planning process better-suited to match the current pace of change and environmental unpredictability. 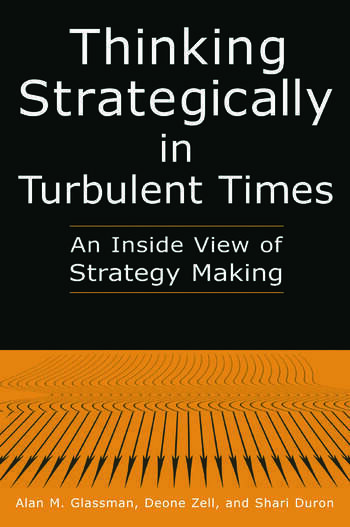 The book is filled with vignettes, quotes, and real-world examples that illustrate the trend toward faster, more adaptive strategic planning processes. It is relevant for a wide range of business, governmental, and non-profit settings, and should be required reading in any course on strategic planning. Foreword, Barry Z. Posner; Preface; Acknowledgments; 1. Introduction: The Contextual Framework; 2. Thinking Strategically at Hewlett-Packard; 3. Thinking Strategically in Los Angeles County; 4. Thinking Strategically at the California State University; 5. When Sectors Collide; Epilogue; Notes; References; About the Authors; Index.